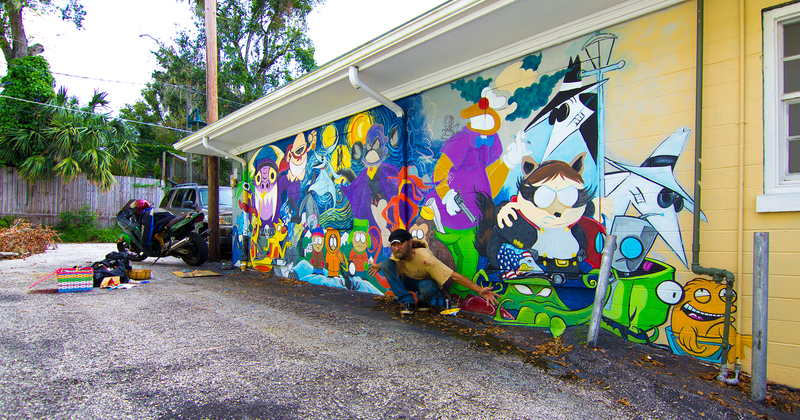 Tucked away behind Every Nook & Cranny in Downtown Mount Dora is an ordinary alleyway turned extraordinary by artist Tim Parker. Kaitlyn, who owns the local handmade gift store, first had him paint a sidewalk mural in front of her store. 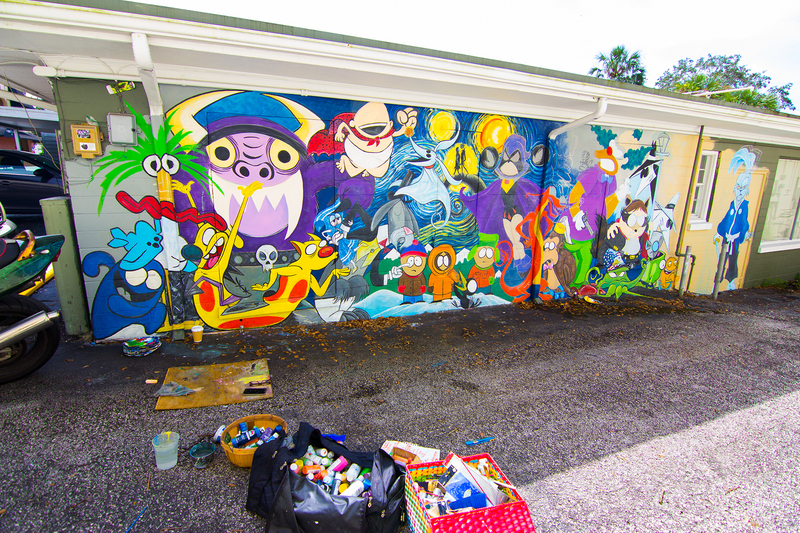 People loved it so much that she commissioned him to paint the alleyway behind it. His goal was to unite people of all ages and all walks of life by incorporating a diverse range of characters within the painting. “The world needs to be as diverse as my mural is,” he explains. You may have seen his work before, as he was one of the artists who painted bright extravagant murals in over 25 Tijuana Flats restaurants around the country. His work is more than just art though. What he really enjoys creating is smiles. Families are brought together in joyful conversation and generation gaps are consolidated through this obscure wall tucked away on Donnelly St., between 3rd and 4th Ave. Between strokes of brush paint, he muses on the importance of positive actions. While his murals are only part of the microcosm, he knows that the smiles they create help make the world a better place.